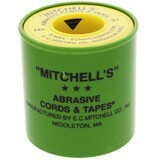 We have a variety of abrasive tape, cords and emery cloths in various grits, widths and lengths. 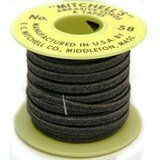 Emery Cloth is used to remove rust and smooth out any rough edges and burrs that could affect the feed of your thread through the machine. 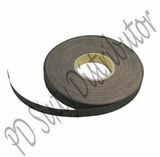 Abrasive cord is designed for polishing and deburring any holes or slots that the emery cloth is incapable of reaching. If your desired size or grit is not included in the list of abrasives that we carry, don't hesitate to contact our customer service department. 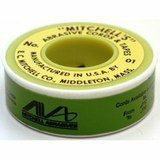 $45.99 $39.99 Save 13% 150 Grit, Emery Tape Roll, 50 Yards by 1"
$39.99 $34.99 Save 13% 180 Grit Emery Tape Roll, 50 Yards by 1"